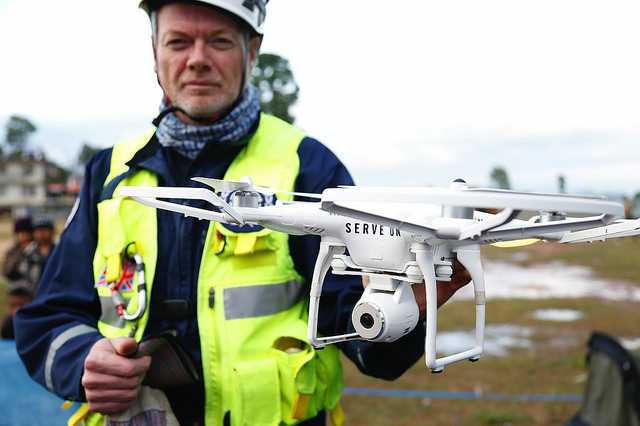 How will a drone impact my construction company’s bottom line? According to Bough, on the other hand, “You can’t use the drone like you’d use a survey crew for exacting work. They can get you close though, and that can work really well…” Bough is enthusiastic about the drone’s quick turnaround time for surveys. The drone sends him a cut/fill map the same day as the survey takes place, this allows him to figure out what needs to be done the day after the survey. What kind of data will I get from using a drone at my construction company? According to Bough, the data collected by drones is the same as the data collected by survey crews. In fact, the topographic surveys and digital terrain models provided by aerial mapping, a process that has been used since the 50’s, are identical to those collected by drones. Bennington suggests crews begin thinking of surveys as a two-step process. The survey itself being step one and the consumption of data at the office being step two. Bennington agrees that the data provided by drones is the same as the data provided by other survey methods. Will I have to train my crew to use drones at my construction company? Any employee operating the drone must be at least 16 years old and hold a remote pilot airman certificate with a small UAS rating or be under the supervision of an individual with a remote pilot certificate, and pass applicable TSA vetting. A step-by-step guide to getting your remote pilot airman certificate can be found here.